LONELY PLANET Travel Guide nominated us as their favourite place to stay in Noosa. 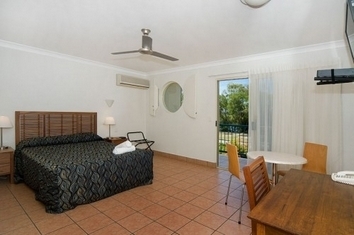 The Anchor Motel at Noosa is a 4 star Motel catering for both short term and longer term stays. 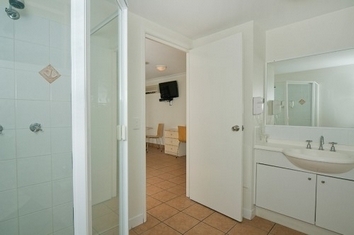 It is a well designed Motel whilst having the charm of a tropical garden setting. We are about 130 kms North of Brisbane. The trip usually takes about 90 minutes. It is conveniently situated between Noosaville and Hastings Street whilst being only a 10 minute walk to the river front precinct of Gympie Terrace. There are over 30 first class cafes, restaurants and bars catering for all budgets in this street. At the Anchor we have 19 units. All Units have a Queen bed. Your particular request is subject to availability depending on our bookings. Each unit consists of a bathroom and a living room. The units all have a bar fridge, microwave oven, kettle, toaster. The Motel units are all decorated in a nautical theme and many feature unique port hole windows. The rooms all have reverse cycle air conditioning to keep you cool or warm depending on the weather. Each unit also has free 18 channels of Austar / cable TV as well as the normal free to air stations. The in ground pool, spa and BBQ area are surrounded by tropical gardens. These facilities are for the use of in-house guests. The Motel office staff are only to happy to arrange any of the numerous tours available. 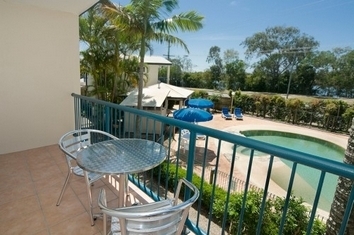 These activities include fresh and salt water fishing, sailing, surfing, 4WD excursions to Fraser Island, trips to the Sunshine Coast Hinterland, trips to the world famous Eumundi Markets, Steve Irwins Australia Zoo, several winery tours or maybe you would like to just laze around the pool doing nothing. If you are driving we can also offer undercover parking for your vehicle. As we are a Motel no large sporting equipment such as BICYCLES, KAYAKS, SURFBOARDS are allowed in rooms. We do not cater for unaccompanied minors. We reserve the right not to accept bookings from prospective guests who do not possess a valid credit card. Additionally we reserve the right to not accept party bookings. 1 night minimum stay. Please check your ETA with our Reception Office hours of operation. After hours arrivals can be catered for. Office closes 6pm every night. Please ring & advise of late arrival time to make arrangements to facilitate. Out of hours arivals can be catered for but we need to be advised by you. Rate is for minimum 1 night stay in Motel Room Rate is for 1 or 2 guests sharing a Queen size bed. Extra guest charge at $30 each per night (including children). Maximum occupancy is 2 adults & 1 children OR 1 adults . We provide undercover parking and can cater for an occassional boat and caravan depending on size and availability. If you are flying you can either come in through Maroochydore Airport or through Brisbane Airport, both airports are regularly serviced by bus lines who will drop you of at our motel (or very close to it). If you are coming by car, come along Bruce Highway and turn off at the Noosa Heads & Eumundi turnoff. Follow the signs to Noosa Heads and you will come to a bridge. Go forward to Gympie Terrace. Drive along Gympie Terrace till you come to a round about that has a cafe featuring an Elvis Presley statue on its footpath. Turn right at this round about going to another round about- this is Weyba Road. Here turn right again until you come to an another round about alongside a Service Station. Turn left at this round about keeping the lake on your left hand side.About 400 mteres down this road (Weyba Road) you will see on your right hand side our signage featuring the ANCHOR. We are on the corner of Weyba Road and Anchor Street. The RECEPTION OFFICE is in Anchor Street. Enjoy a morning or a day of shopping at Gympie Terrace, Hastings Street, or Montville (arts, & crafts). Into organic foods Looking for the unusual try the reknowned Eumundi Markets every Saturday or Wednesday. Our local produce markets on Sunday are just a few hundred metres away and offer the best of fruit, vegetables and a variety of prepared foods. If you are into fishing you can do fresh water fishing, off shore fishing, estuary fishing or scuba diving. Like a drop of red or white We have several undiscovered wineries featuring a nice drop or two. You have heard about it, now you can be a part of it and discover it yourself.Take a 4WD coach to Fraser Island for 1 or 2 day trip. If you prefer soemthing a bit more tranquil try a boat tour of the Everglades. There are various packages available - 1/2 day - morning or afternoon timetables. Visit the Sailing Club, The Bowls Club or the RSL Club. The three clubs also provide reasonabley priced first class meals. We can arrange free courtesy buses for the RSL with pick up and return at the motel. Allow us to assist with tour information and bookings.